*6 panel digipak showcasing photographic artwork by Nicholas Hughes and with art direction by David Sylvian* David Sylvian returns to his own Samadhi Sound label with this excellent new longform composition clocking in at just over an hour and featuring Christian Fennesz on Laptop and Guitar. 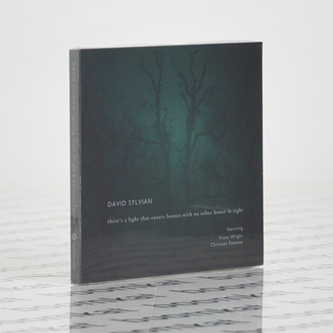 In the fine tradition of his work over recent years, this is Sylvian at his most experimental, slowly building a tapestry of sound narrated by American Pulitzer Prize winning poet Franz Wright and augmented by Fennesz’ delicate touch, as well as Piano by John Tilbury. The whole thing has an engrossing, almost surreal feel to it, slowly building in instrumentation and complexity before stripping back to a bare trickle of found sound and distant strings by the finale.